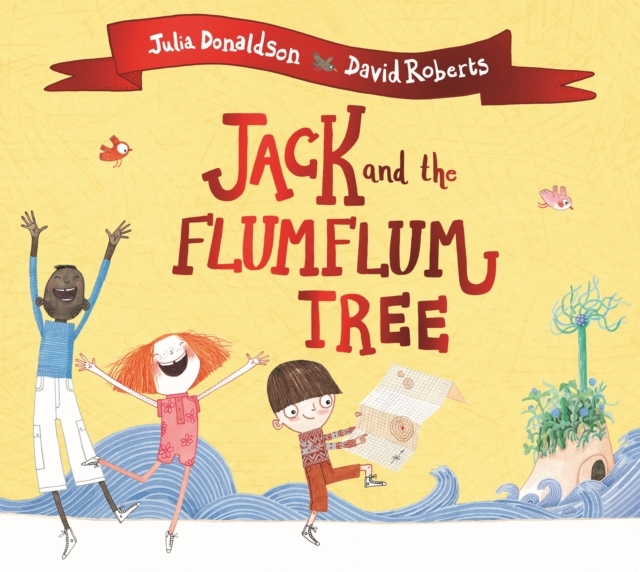 Set sail with Jack for an adventure on the high seas in this wondrous story from the stellar picture-book partnership of Julia Donaldson and David Roberts. 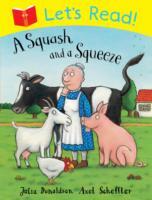 Jack’s Granny is sick with a bad case of the moozles! And the only cure is the fruit of the flumflum tree which grows on the faraway Isle of Blowyernose. 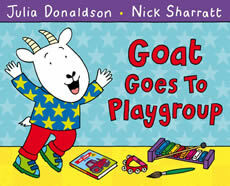 It’s a perilous journey, but Jack bravely sets sail with a motley crew of three and a large patchwork sack that Granny has filled with an odd assortment of items from chewing gum to tent pegs. 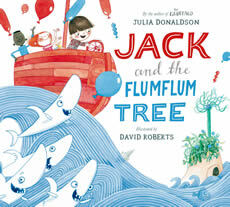 But what use will they be against hungry sharks, a leaky boat and a thieving monkey?Jack and the Flumflum Tree is a fantastic, action-packed rhyming adventure from Julia Donaldson, bestselling author of The Gruffalo, with richly detailed illustrations from award-winning illustrator David Roberts. 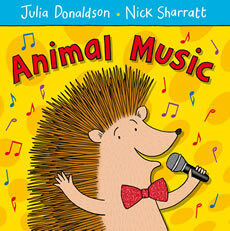 Enjoy these other stories from Julia Donaldson and David Roberts: Tyrannosaurus Drip, The Troll, The Flying Bath and The Cook and the King.